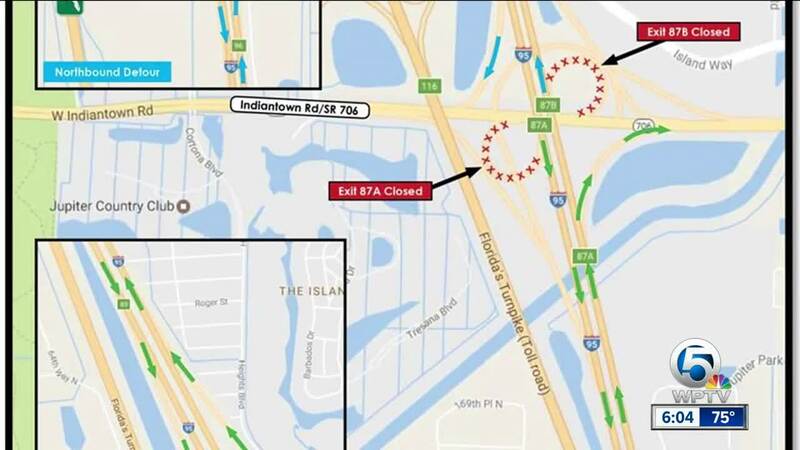 The ramps on northbound I-95 to westbound Indiantown Rd., Exit 87B, and southbound I-95 to eastbound Indiantown Rd., Exit 85A, will be fully closed from February 10 through February 12 from 10 p.m. to 5 a.m.
JUPITER, Fla. — The ramps on northbound I-95 to westbound Indiantown Rd., Exit 87B, and southbound I-95 to eastbound Indiantown Rd., Exit 85A, will be fully closed from February 10 through February 12 from 10 p.m. to 5 a.m. The closure is due to paving if the weather permits, according to the Town of Jupiter. Motorists are asked to use alternative route. Motorists traveling on northbound I-95 to westbound Indiantown Rd. 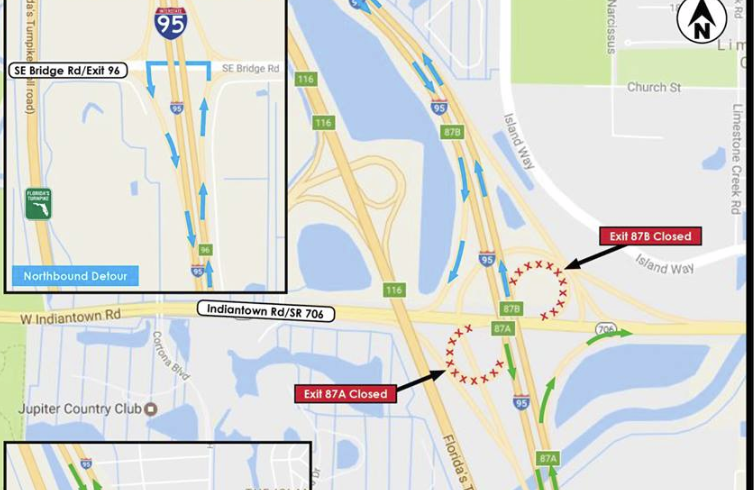 should detour north on I-95 to Bridge Rd on Exit 96 and go westbound on Bridge Rd. and re-enter I-95 heading southbound to Indiantown Rd. Motorists traveling on southbound I-95 to eastbound Indiantown Rd. should detour south on I-95 to Donald Ross Rd on Exit 83 and go eastbound on Donald Ross Rd. and re-enter I-95, heading northbound to Indiantown Rd. on Exit 87A.